Home » Culture Club » Celebrate the launch of the Cornwall 365 What’s On website! Celebrate the launch of the Cornwall 365 What’s On website! 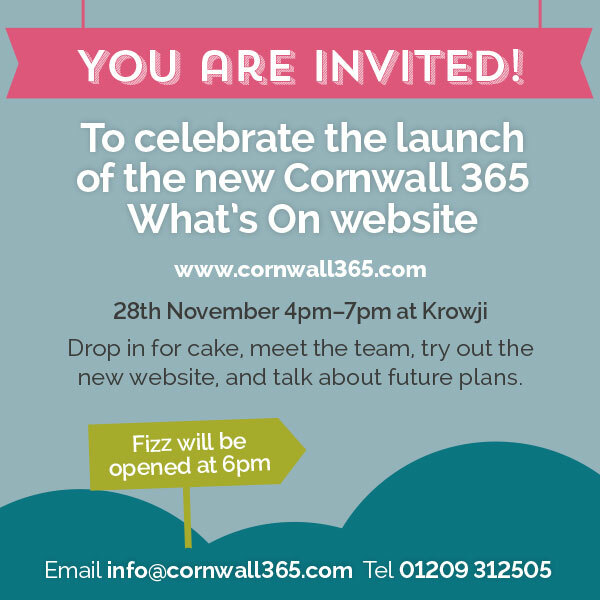 Whether you’re an event organiser, a stockist of our guide, or just interested in what’s on in Cornwall, come to Krowji on 28th November to drop in, meet the C365 team, try out the new website, and talk about our future plans. This is also a chance to tell us your thoughts and have your say in where we go in the future. We’d love to see you there!